Hey The Book Of Mormon fans listen up, it's that time you've all been waiting for as The Book Of Mormon comes to Eugene O'Neill Theatre! Here's your chance to catch it all live, just grab a friend and a couple of tickets and come down to Eugene O'Neill Theatre on Saturday 4th May 2019! Isn't it amazing how pure magic and miracles do happen on the theatre stage? Whether it be a musical, drama, epic, comedy, or action, the enigmatic and captivating appeal of theater always shines through. 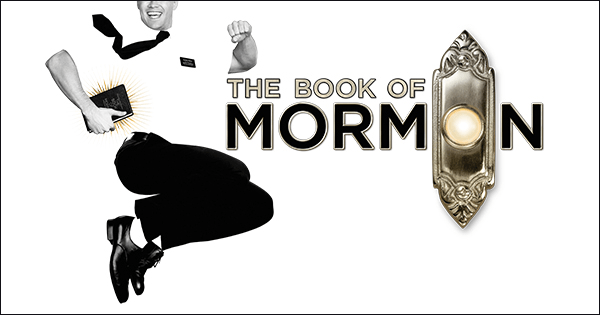 The Book Of Mormon is one such masterpiece that will magically come alive at the stage of Eugene O'Neill Theatre, located at the heart of New York City, New York. The Book Of Mormon incites wonderment, enjoyment, and is the epitome of full-blown entertainment. Tickets are on sale now and better get yours before they go into a disappearing act. Get your tickets now!